Cape Composite (Pty) Ltd, is a specialist manufacturer of fiberglass flat sheets and molded products for commercial and industrial applications. Our products are predominantly used in the cladding and insulation of truck bodies, tank containers and walk in fridges. We are continually improving our methods and plant, and the use of the latest mechanised technology combined with sourcing the best raw materials places Cape Composite as a market leader in South Africa. Our manufacturing facility is tooled for mass production; however, we are proactive, innovative and versatile, and invite you to talk to us about your specific needs. For flat Fiberglass (GRP/FRP) sheets in various sizes, colours, strengths, and thickness. With our maximum size being 2.950m x 33m. It is worth noting that our investment in the latest automated fibreglass flat sheet machinery, produces the most brilliant high gloss gel coat finish in the industry. Manufactures customized Fiberglass (GRP/FRP) parts. For high and low volume pre moulded Fiberglass (GRP/FRP) part manufacturing, with consistent high quality. For many low volume Fiberglass (GRP/FRP) products. Our reputation means everything to us. Cape Composite (Pty) Ltd is a family owned and run business and as a result, pride and quality go hand-in-hand. The owners and founders, Adrian and Cindy Oberholzer, remain very involved and keep a critical eye on production – aspiring to ensuring that every product that leaves the factory exceeds customer expectations. 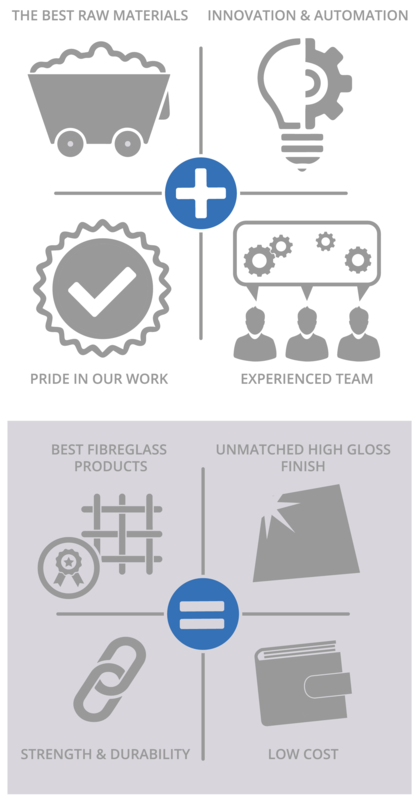 Our promise is that we are able to produce exceptional fibreglass products at excellent prices through our investment in our manufacturing plant and people, and the purchasing power we have with our suppliers that is based on 30 years’ of trade history. 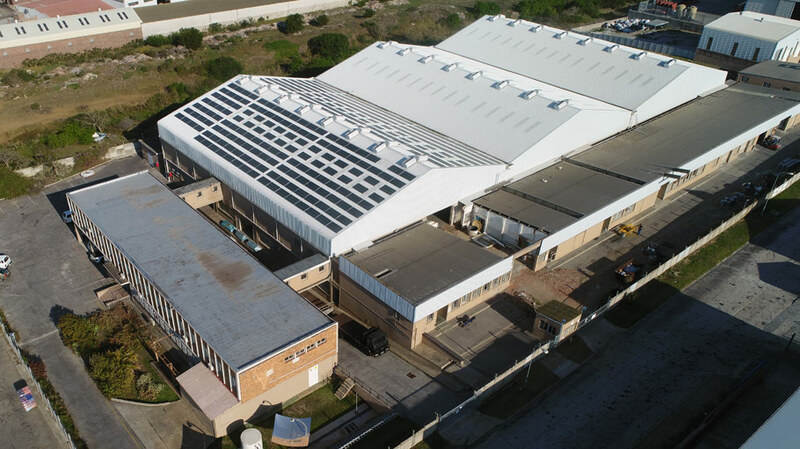 Cape Composite presently operates out of a 10 000 square meter building in Port Elizabeth. Port Elizabeth is an industrial city and regarded as the motor manufacturing capital of South Africa. It has a harbour that provides us easier access to international markets and a logistical infrastructure that facilitates the delivery of our products throughout world.